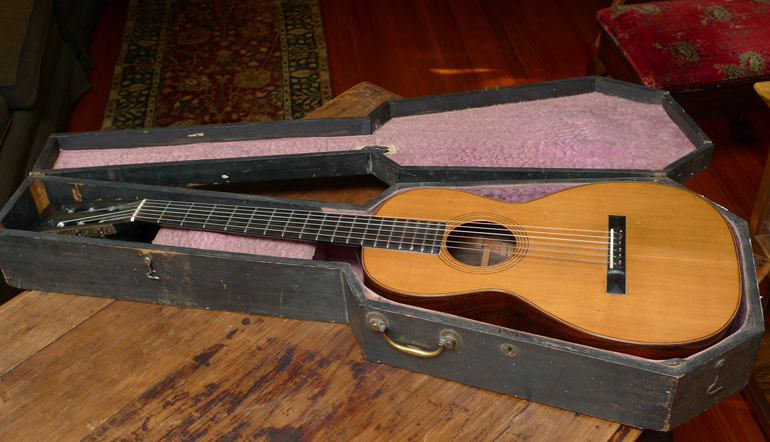 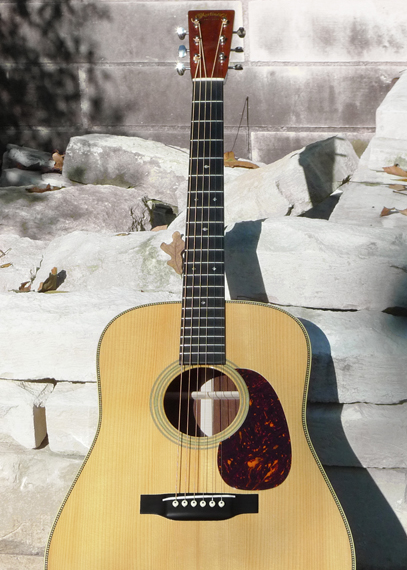 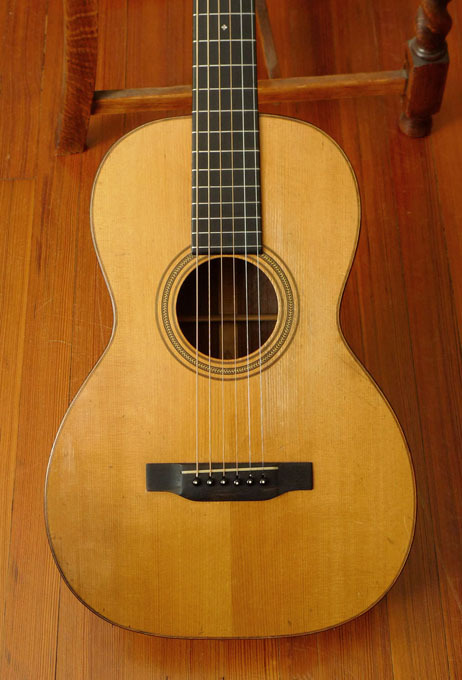 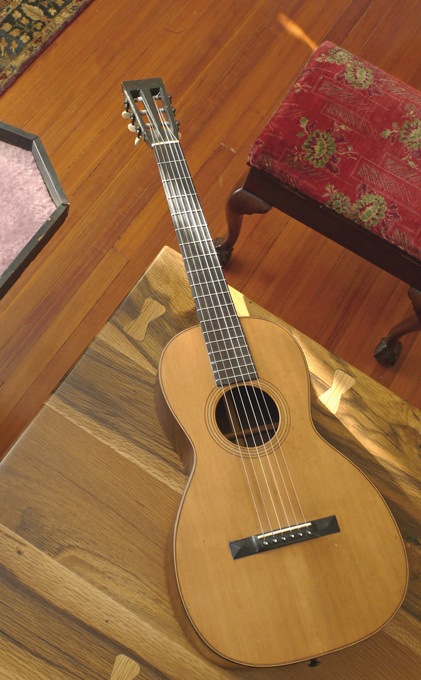 Another all-original pre-war Martin… but you have to go back a few more wars on this one- to just after the Civil War. This guitar even has its original coffin case–necessary in the days when Martin guitars were shipped out by railroad or wagon train. 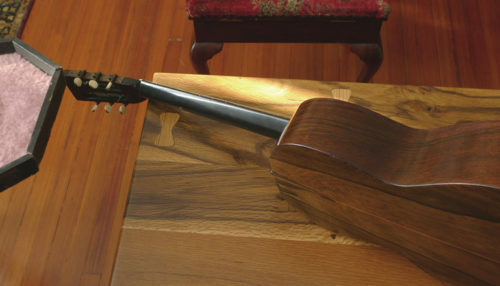 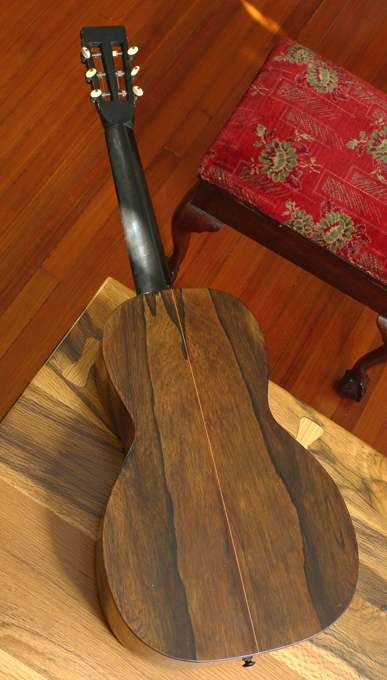 The figured Brazilian rosewood back and sides are unusual– in these decades of the 19th century (and through the middle of the 20th) Martin usually did not use this kind of figured, lovely Brazilian (they preferred the more straight-grained variety). 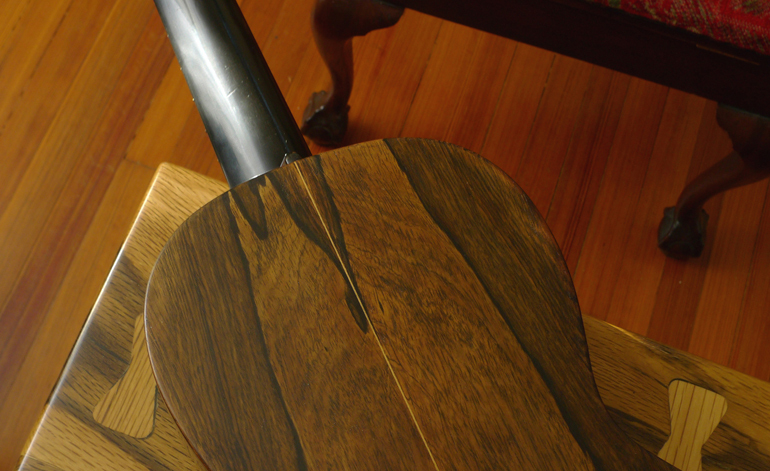 On this guitar, for the sake of originality, we’ve kept its original saddle intact. 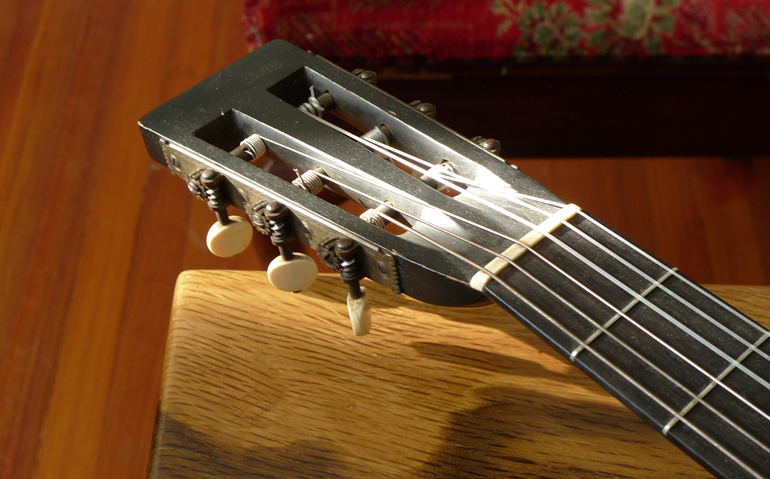 The original ivory saddle is worn through at the strings, but still functions nicely. Two cracks in spruce top; one is bridge to bottom of top; the other is from near bridge to soundhole; first one described is beneath an internal brace; second is 2mm adjacent to a different brace. 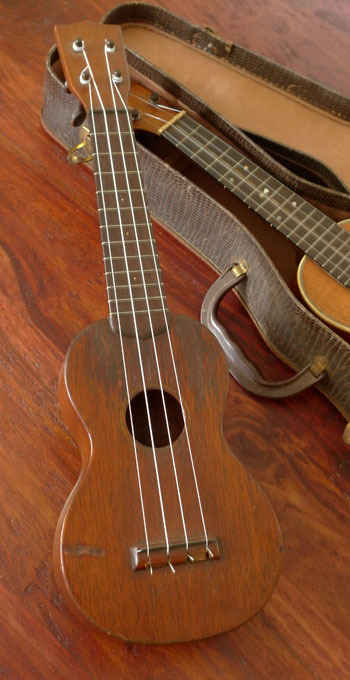 Neither need attention and are left alone to preserve originality. 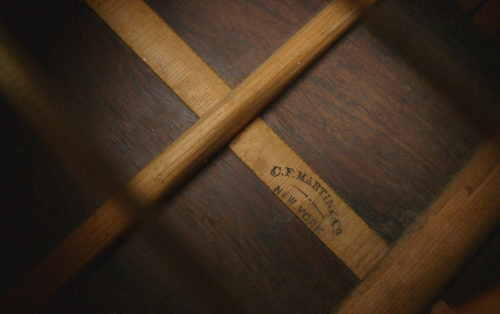 Characteristic, three Martin stamps: “CF Martin & Co, New York” ink stamped on neck block; “CF Martin & Co, New York” ink stamped on center strip inside; and “CF Martin New York”, stamped/pressed into brazilian rosewood back of guitar, up near the heel. 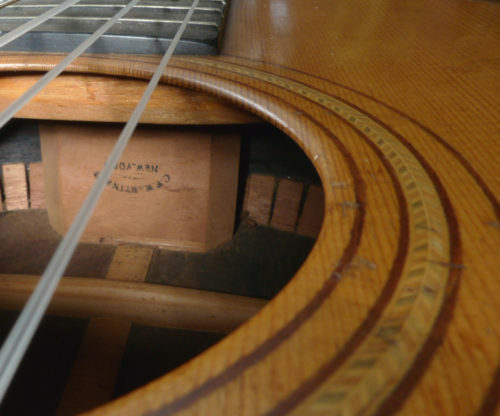 (note: this guitar is not signed personally by factory foreman, etc, on underside of top…. This fact, and the other details, points to a circa 1870 date, not 1880s or 90’s). 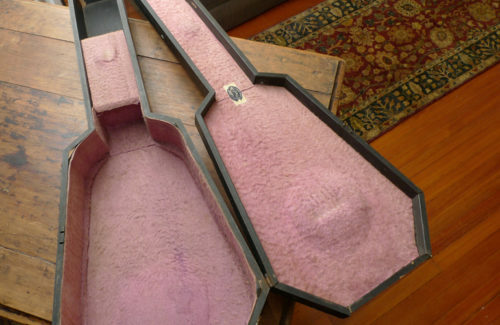 Label inside original coffin case reads: “L. 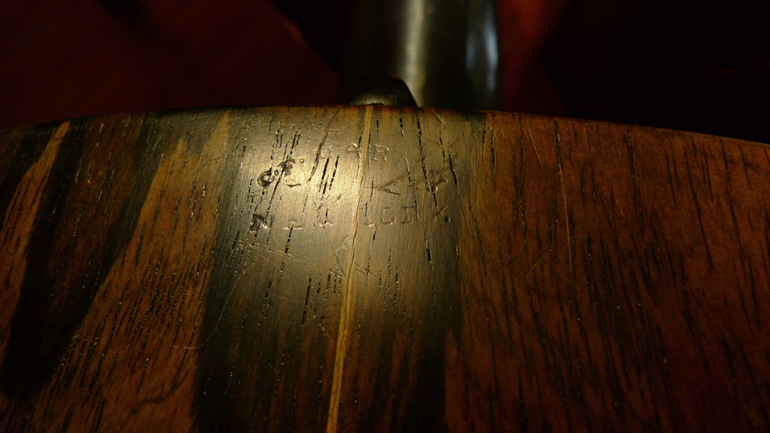 Grunewalds… Piano, Organ, and Music House, New Orleans, La.” Louis Grunewald (1827-1915), of German birth, immigrated to New Orleans in 1852, performing as an organist in several Catholic churches in that city (Abel 2000, 268; derived from Boudreaux 1977, 72). In 1856 he opened his New Orleans music publishing business on Magazine Street.